Look at that Backyard! This is a rare find, a charming 3 bed, 2 bath that sits on a roomy corner lot! There is a bonus study/den area with the possibility of being converted to a fourth bedroom. Updated bathrooms, central heat & air, dual pane windows and newer flooring/Roof/Gutters which makes this home turn-key & ready for new owners. Step out into your backyard and picture yourself enjoying those spring/summer evenings in your spacious low maintenance backyard with the serenity of having no neighbors in back of you. Location is everything! 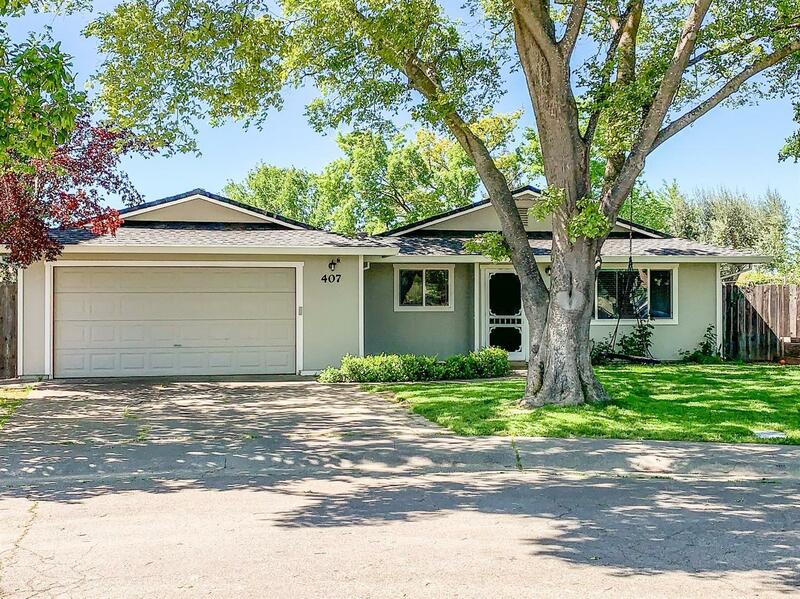 This home is in walking distance to all schools, and is close to Lake Berryessa and The charming Downtown Winters...Home of local farm, local fork, local music and local fun!